I am a CMO who has worked with CIOs my entire career. In this blog post I share some of my observations about the differences between the two, and what is needed to bridge the gap. I read a a report on the most recent Global C-Suite Study by IBM that recommends Chief Marketing Officers (CMOs) establish close working relationships with Chief Information Officers (CIOs). This is just one of many articles and blog posts calling for increased cooperation between the two executive roles. The reason is the need for CMOs to adopt technology and embrace and implement digital marketing, including social media, analytics of social media tools and data, and social response mechanisms throughout the entire supply chain. I believe that the first step in bridging the gap between CMOs and CIOs is for each to understand the other. Let’s start with the CMO. CMOs are external-facing executives who were traditionally expected to be creative. Successful CMOs were also strategic and tied their activities into their organizations’ strategic business plan to achieve objectives. CMOs have been recognized for the marketing campaigns that they led. They got recognition for campaign success (think Geico’s Gecko campaign), and were also called out for campaign failures (think of Coca-Cola’s New Coke campaign). Out of necessity, many CMOs had to be flexible and eager to make changes in the organization’s marketing programs. In this highly visible role, CMO tenure was not very long. Prior to 2006, CMOs’ average tenure was as short as 18 months. As of 2012, CMOs’ tenure grown to an average of 43 months. Their role now involves technology in the form of websites, content management systems, social media, big data and analytics. Perhaps most importantly, marketing technology is now used throughout the organization, not only by marketing and sales but also by customer service, shipping and accounts receivable. 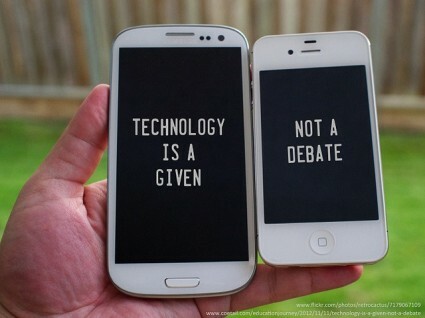 Social media requires both a use of technology and great marketing messaging. The pressure to change for CMOs is intense. CIOs on the other hand have held important internal support roles within their organizations. Once the only person in the organization who understood software and computers, the CIO’s importance came from being a source of knowledge and expertise few people had. They were technology heroes, often saving the day by troubleshooting problems and issues with technology. Enterprise CIOs have been constantly badgered by technology salespeople and most have probably been sold technology that just doesn’t work, resulting in them becoming very wary and cautious about change and new technology. Now CIOs are faced with an organization of more savvy technology users, much faster technology innovation, and users who bring their own devices to the workplace. Their once controlled environment run by one expert is much more complicated with more departments needing technology solutions and increased external security risks posed by hackers and cyber-criminals. Technology has increased its pace of change and innovation and more technology is used every year. CIOs need to use more resources (no more IT super-hero) to cover new technology and work collaboratively with marketing. Both CIOs and CMOs need to recognize where each is coming from and what growing pressures both face now. The biggest factor for their mutual success is a clear organization strategy that both can work toward, as well as increased communication and respect for the different attitudes that result from coming from very different backgrounds.